I manage a university website. and when you try to search for "top universities in the Philippines" it will show the wrong logo and the wrong website. but it shows the name of our university and the address on the right side panel as well as our description. Can you guys give me any hints on what am I doing wrong? I Added alt tags from our logo and asked for a reindex on search console. But its still showing the wrong details. EDIT: If you search for "Top universities in the philippines", on the 18th spot. 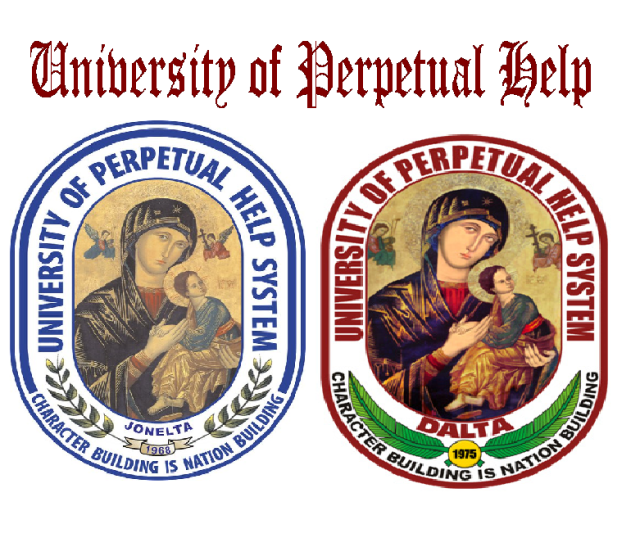 you will see our name "University of perpetual help system DALTA, Las pinas", But the logo shown there is from University of perpetual help system LAGUNA, and the right logo for us is the the one the right side (Maroon), and when you clicked the logo. It will show the website of UPHSL.edu.ph which should have been perpetualdalta.edu.ph since the one on the right panel is University of perpetual help system DALTA, not LAGUNA. Okay. This is actually simple. This image comes from http://www.pinoyexchange.com/, more specifically, http://www.pinoyexchange.com/forums/showthread.php?t=714586 where this image exists http://i60.tinypic.com/2zyhetx.png. While this answer and your question do not line-up exactly, this is probably a good example of what is going on. This image is coming up for searches based upon the search query. Other search queries will likely have different results. The primary problem is that image search is different from textual search. 1] Use the image prominently on the website such as in the header or footer taking full advantage of the img tag alt text. I suggest taking your present logo and splitting it to separate the actual logo from the text and using how you want to be known in search as the alt text. 2] Is to use schema.org mark-up for your school and be sure to use "logo" found here: https://schema.org/logo. Of course you should use the logo image without the attached text. This should be on your Contact Page and/or About Page and/or in the header or footer. I would suggest taking full advantage of schema mark-up. The advantage here is that schema mark-up fuels the knowledge graph. For what it is worth, an image search using your search phrase does show the correct image first. The bad news is that the image is on Wikipedia. The good news is that the image is on Wikipedia. [insert cheese eating grin here] Wikipedia is used directly in the knowledge graph. That is the good news. Now you simply have to create positive image search results that returns your logo for your site more consistently than the pinoyexchange.com site and possibly even Wikipedia. Site owners often forget about site reputation which is not just short-circuiting negative results. It can also be about sculpting search results with positive results that return a user to their site. This is the nature of SEO. Images are often ignored. So is the knowledge graph. Optimizing for image search and properly using schema mark-up are significant tools for any site and positive search results. Keep in mind that you will need to explore how your site appears for a variety of search queries and determine which ones are most important for your users. Not you. From there, you can sculpt your sites presentation to optimize toward these searches. Also keep in mind, that search is not a perfect world and some compromises may be needed toward how people search the most. Not the answer you're looking for? Browse other questions tagged google google-search-console search or ask your own question. Why Google analytics show zero result in search console section in acquisition?